Montreal Baseball Project is very pleased at the outcome of the meeting between Stephen Bronfman, Mitch Garber and Montreal Mayor Valerie Plante. "I am very encouraged by the positive discussion between Stephen Bronfman, Mitch Garber and Mayor Valerie Plante”, says Montreal Baseball Project founder and president Warren Cromartie. “For Mayor Plante to enthusiastically proclaim "We’re in!" speaks volumes about the quality of the effort we have put in on all fronts to move this project forward. “To also hear Quebec Premier Philippe Couillard speak positively of our work is another significant development for us. These affirmations are a clear indication of our unwavering commitment to make Montreal a Major League city again, that will only add to our credibility as we move forward. Established in 2012, Montreal Baseball Project seeks to build upon the recent groundswell of demand for baseball in Montreal and deliver a Major League team back to the community. Vladimir Guerrero, Hall of Famer! Welcome to Cooperstown, Tim Raines! 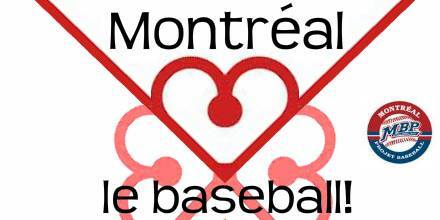 Montreal Baseball Project’s 2015 Gala: Celebrate Montreal’s baseball history, celebrate Nos Amours! Numbers Don’t Lie: Montreal Wants Major League Baseball Back! © 2019 Montreal Baseball Project. Site by Plank.